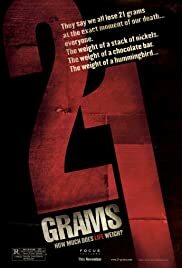 '21 Grams' tells of a number of loosely interlinked characters in an achronological fashion, jumping backwards and forwards over their stories. There can be reasons for doing this: for example, to reveal the plot in a way that offers an extra kick, or to enable the plot to conclude with a scene from the middle of the story that gains impact from the viewer's prior acquaintance with what happens next. Quentin Tarantino's 'Pulp Fiction' justified its own complex plot structure on both of these grounds. But in the case of this film, I couldn't see how telling the story in such a broken way was supposed to add anything; and the fact that most of the leading characters possess a death wish (or at least, very little will to go on living) hardly aided my emotional involvement. At times, the film appeared to be shaping into a story about the possibility (or otherwise) of redemption; but it never quite grew into anything more the harrowing tale of a number of people who suffer and (in some cases) die. 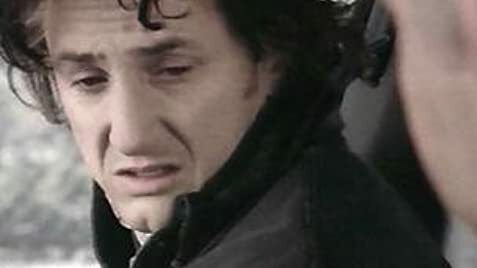 The pretentious voice-over from Sean Penn's character that ends the film (and accounts for its title) felt to me like a desperate (and failed) attempt to inject some meaning into a movie strangely devoid of it. That said, the acting is good, and the film is undoubtedly skilfully made. But "people die" is not, in itself, an adequate or interesting unifying theme.